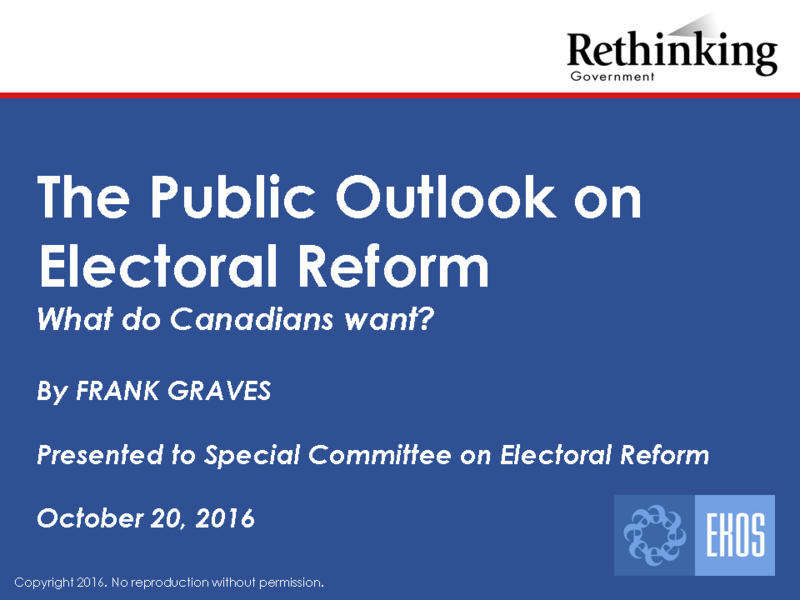 Do We Need a Referendum on Electoral Reform? [Ottawa – December 17, 2009] – Canadians strongly favour the introduction of voting over the internet according to a major poll of Canadians conducted by EKOS Research Associates for the CBC. Nearly half of Canadians say they would “very likely” vote online if that option were available to them. Another 15% say they would be “somewhat likely” to do so. Not surprisingly, young people, who have had lower rates of voting than their elders in recent years, are the most enthusiastic about internet voting.